I am often contacted with questions regarding the passing of a much loved pet as this is a very difficult and painful topic. I hope that you can get some measure of comfort from the newest book by author Natascha Weber. Review: The author has found sensitive and meaningful words to describe this difficult topic. To begin, she uses personal examples to explain what the level change of a beloved being feels like and how sometimes we can even foresee this occurrence. This is done in a way that people from all religions and life philosophies can identify with the topic. The words she uses are so thoughtful, that this difficult and often emotional topic is almost surrounded with a certain “light”. In addition, in dealing with “death in society”, thoughts about the taboo subject of “dying” are explored, and a “harmonious” approach to the subject is enabled. The author covers aspects of preparing for and recognising the signs of an upcoming departure from this world. Through this, she leaves the reader with helpful and healing thoughts for “the aftermath”. 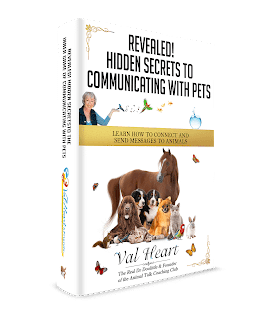 In the day to day dealings of a animal naturopath, it is not uncommon for us to reach the point of having to explain this difficult step to pet owners and to support them in related decisions. This brochure is very helpful, through its sensitive approach to the subject of “death”. That it can turn into a “happy end” is a realisation that we receive throughout reading this book.